Great location, friendly staff, affordable parking. Older boutique style hotel. Property was very clean and charming, and the staff was extremely friendly and helpful. The rooms were nice but lacked adequately insulated walls to more effectively block sounds from adjacent rooms and the hallway. The hotel was in a fantastic location. Close to transportation, lake front, gym across the street. Close to a great selection of restaurants. The customer service was fabulous. I will definitely stay here next year when I visit Chicago again. Quaint little hotel in a lovely residential neighbourhood. It’s a short bus (stop around the corner) ride to the Magnificent Mile and other sites of interest. The hotel is a little worn. However, the rooms were very clean and the beds so comfy. Quiet location which meant a good sleep. There were also several restaurants and stores right in the neighbour. If you like being away from all the noise and mayhem of downtown and love historical buildings this place is for you. The door to our room didn’t shut properly so we could hear EVERYTHING in the hallway. There was also construction on the building next door in the morning. The heater would not turn off and made terrible noises all night. We couldn’t sleep. Definitely NOT worth what they charge. Spend the extra $ for the newer hotels in the area. Older hotel in beautiful Lincoln Park. Clean and housekeeping does a wonderful job. No amenities, so if you want a pool, bar or fitness center then this is definitely not for you. Also, don't get the small room. I think it's called the queen size room. It's really, really small. There parking available. Really nice neighborhood. Clean, a lot of trees and shops and restaurants nearby. Clean, crisp feel to the hotel. Nice breakfast, healthy options. Boutique Hotel with friendly staff. Large room, comfy bed. Quiet. Restaurants & shopping in walking distance. Comfortable and good location to shopping and restaurants. Helpful staff and plentiful breakfast. Hotel is in a great location, décor and systems are a bit dated but overall met our needs. Wonderful location, close to lots of shopping, restaurants and theaters, an easy Uber ride to downtown...and a fun walk to Wrigley. Hotel is very clean and comfortable, even during windy winter holiday stay. Staff is very accommodating and friendly!! Nice hotel in a great location. Very clean and comfortable rooms and common areas. Hotel is fairly small in a residential area. Very convent to restaurants, stores & transportation. Walkable distance to Lincoln Park & Wrigleyville. Breakfast very nicely done with greater variety than expected. Nice hotel, but when you have a do not disturb tag on your door and housekeeping knocks on your door waking you up then proceeds for 30 minutes to exchange gossip among themselves while in the hallway outside your room in ridiculously loud voices - it kind of ruins the stay. These women were completely out of bounds. There was obviously more chatter than work being done and it was extremely disruptive to me, the guest. Be quiet do your work and gossip with your coworkers during your break time. Nice small hotel in good lakeview south / Lincoln park location. Walk to the zoo, trains, and Wrigley. Friendly staff, easy pay parking, lots of restaurants and places nearby. Located in Lakeview within a short walk of Briar Street Theatre, The Willows Hotel is within a mile (2 km) of other popular sights such as Vic Theatre. The 55 rooms at this 3-star hotel include refrigerators and minibars and guests can enjoy free breakfast. A flat-screen TV comes with cable channels, and guests can stay connected with free WiFi. The bathroom offers hair dryers, free toiletries, and bathrobes. Other standard amenities include a refrigerator, a minibar, and free newspapers. The Willows Hotel features free WiFi in public areas, coffee in a common area, and free newspapers. Self parking is offered for USD 25.00 per night. Front-desk staff can answer questions 24/7, and assist with dry cleaning/laundry, concierge services, and securing valuables. 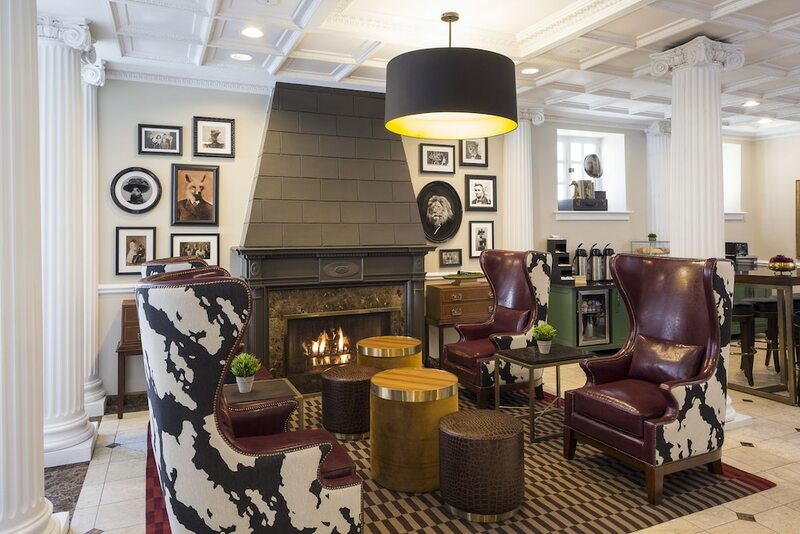 Other amenities at this boutique hotel include laundry facilities, a fireplace in the lobby, and a vending machine. Thank you for taking the time to give us your feedback.I want to sincerely apologize for not meeting your expectations during your visit. I can assure you that our main goal is that every Guest is satisfied upon arrival and departure. You are a valued customer and your concerns are important, I will definitely pass this information on to the proper people and make the necessary improvements. Have a great day. Thank you for giving us your feedback, it is truly appreciated. We look forward to seeing you next year. Have a great day. Dear Lorrie, Thank you so much for the time you took to share your experience at The Willows. We are happy you enjoyed your stay ad that you found comfort with us, including a good night's sleep. Thanks again and we hope you visit us again!